The Planetary Society has a new weekly Google+ Hangout time slot, Thursdays at noon PT / 1800 UT. 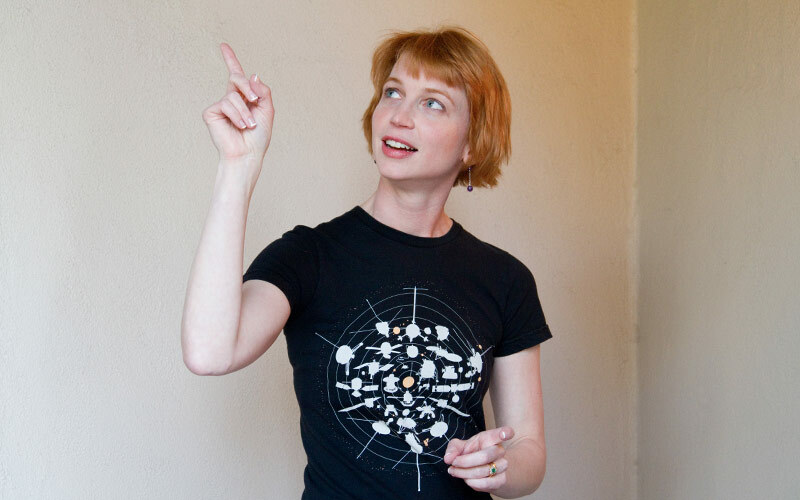 This week, Casey Dreier and I talked about the Curiosity kerfuffle and NASA's future rover plans. Here's the archived recording. I'm in San Francisco, reporting from the American Geophysical Union meeting. This morning, there was a much-anticipated press briefing featuring the latest results from Curiosity. 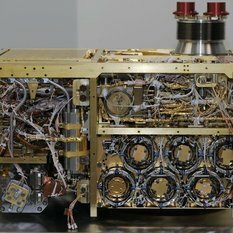 With all the hoopla surrounding the unknown results of the first analysis of a soil sample by Curiosity's Sample Analysis at Mars (SAM) instrument, I thought an explainer would be useful. What is SAM, what is it designed to measure, and what is the nature of its results? Here you go. 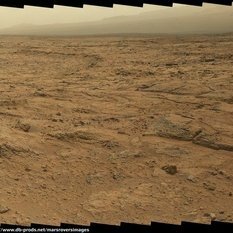 On Saturday, while parked for the Thanksgiving holiday at the edge of Glenelg, Curiosity took a lovely panorama pointed to the east and into Glenelg. This week's Cosmoquest Astronomy Hour Google+ Hangout at 1600 PST / midnight UTC on Wednesday will feature me and Fraser Cain talking about what Curiosity's been up to, and answering your questions. 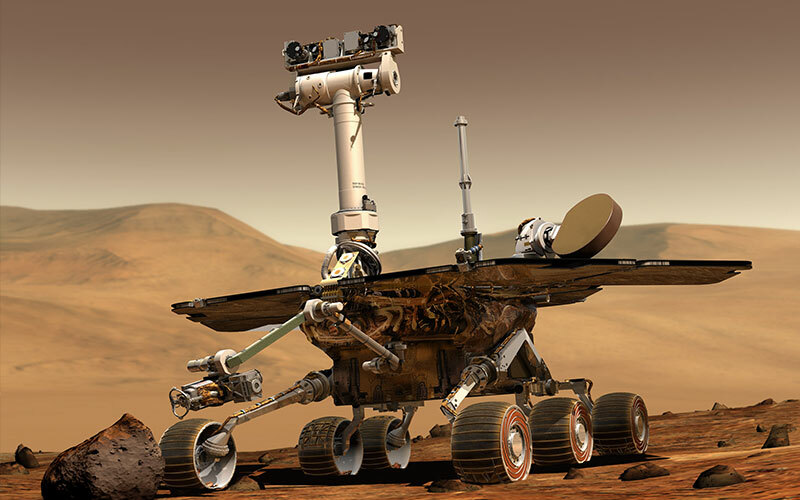 This morning while driving to work I heard a terrific story about Curiosity on National Public Radio from Joe Palca, NPR's science correspondent. It was a great story despite the fact that it contained virtually no news. 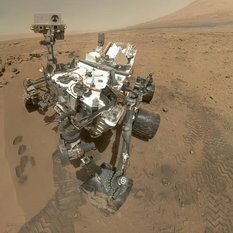 The nugget of non-news is that SAM's analysis of Mars soil has yielded some unspecified, exciting, but not-yet-confirmed result. But that's not really what Palca's story is about. 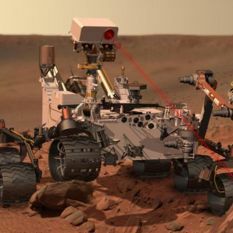 Curiosity is a rover again at last! 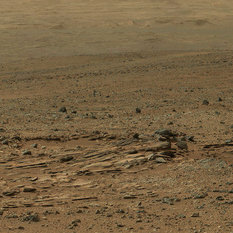 She was parked at the dune named Rocknest for 40 sols, from sol 60 through 99. 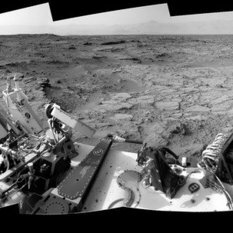 On sol 100, she drove right on top of the dune, obliterating her five scoop marks. Then on sol 102 she took a good long, 35-meter drive so that she's now right on the edge of the "high thermal inertia unit" that attracted her to the spot the team has named Glenelg.